"What are your beliefs about how valid knowledge can be obtained? This will influence your approach to your research. If you are a positivist, for example, (who believes that valid knowledge can be obtained through a scientific approach), you are likely to choose a quantitative research method that begins with a theory and tests that theory. If you favour the social constructivist view that meaning is subjective, gained through interactions with others, you would be more likely to choose qualitative research methods that explores themes. 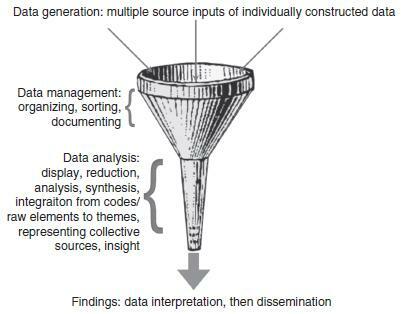 Qualitative research is about generating theory and finding patterns of meaning."